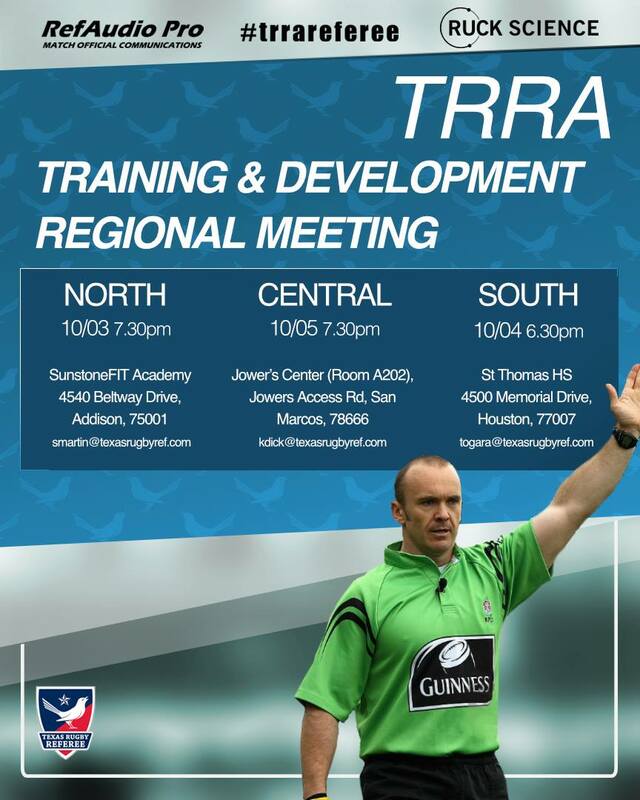 The Texas Rugby Referee Association would like to invite all team coaches, players and administrators to attend their regional monthly meetings. While these are directed at the referees in our area we are encouraging teams to attend as well. What better way to know what will be called in your next match?